2015 has been a year of immense highs and devastating lows. We prayed for Paris, celebrated Queen Elizabeth II as the longest reigning British monarch, welcomed Princess Charlotte to the world, limped out of the Rugby World Cup on home turf, witnessed uproar at the death of Cecil the Lion, and began paying for carrier bags. Ten journalists and two policemen were killed by al-Qaeda gunmen after they opened fire at the Charlie Hebdo magazine office in Paris. The brutal assault was regarded as France’s worst terrorist attack in a generation. Heartbreakingly, it would only get worse. The UK celebrated its first official National Employee Motivation Day, a day dedicated to inspiring passion and appreciation across the UK’s workforce. Renowned for his acid tongue, outspoken ways and ego the size of a Hummer, Jeremy Clarkson was driven off the show for good following a spat over a buffet. In support of their colleague, co-hosts Richard Hammond and James May stood united and the three amigos are geared up to return to our screens in 2016 with a new motoring show on Amazon Prime. On 24th March 2015, Germanwings Flight 9525, flying from Barcelona to Düsseldorf, crashed into the French Alps, killing all 150 passengers. Co-pilot, Andreas Lubitz, locked the captain out of the cockpit before putting the plane into a controlled descent, deliberately crashing the plane. FIFA officials were charged by US authorities over allegations of money-laundering conspiracies spanning 24 years. The whistle has also been blown on Sepp Blatter as the FIFA corruption scandal goes into extra time. Weighing in at 8lb 3oz, Her Royal Highness Princess Charlotte Elizabeth Diana of Cambridge made her entrance to the world at 8:34am on 2nd May 2015. Brother, George looked simply adorable as he waved to the world’s paparazzi while visiting his little sister in hospital. David Cameron returned to Downing Street as prime minister following the Conservative’s outright win in the 2015 General Election. Charity fundraiser and adventure seeker, Cycling Scouser – real name, Andrew Rogerson – took on an epic, 10,000-mile journey from China to Liverpool… on a push bike! The grueling, five month solo cycle was in aid of blood cancer charity, the Anthony Nolan Trust. To date he has raised over £20,000. To donate, please visit the Cycling Scouser Just Giving page. No one was left smiling when 16 people were injured, including two people having legs amputated, when a carriage of the Smiler rollercoaster hit another that had stopped on the track. The ride is set to reopen in 2016. Cecil, the legendary lion, was lured out of Hwange National Park, Zimbabwe and shot with a bow by dentist Walter Palmer. The world was in uproar at Cecil’s brutal and untimely death. Caitlyn Jenner introduced herself to the world via a historic Vanity Fair cover. The heartfelt article and beautiful images of the former Olympian made a fitting tribute to Caitlyn’s new life. Malala Yousafzai, a Pakistani education activist, shot by the Taliban aged 15, was the youngest person to be awarded the Nobel Peace Prize, at age 18. She is an inspiration to us all. August bank holiday Sunday saw hordes of Northern Soul fans descend on The Printworks for Manchester’s first Soul Festival, in aid of The Christie. Over thirty solo acts, bands and artists performed to over 35,500 people who danced the night away, raising over £20,000 for the charity. On 9th September 2015, Queen Elizabeth II became the longest-reigning British monarch and longest-serving Queen in history. Congratulations, Ma’am! Despite getting booted out of the games on our own turf, the Rugby World Cup 2015 was a sensational tournament. Jaws dropped when Japan beat South Africa and hearts melted when New Zealand’s, Sonny Bill Williams gave his medal to 14 year old fan, Charlie Line – one of YouTube’s top moments of 2015, with over 2.5million global views. On the 5th October, England became the last country in the UK to start charging for plastic bags. Cue hilarious memes! In 2015 over one million migrants entered European borders. Over 2000 refugees lost their lives while trying desperately to seek asylum. Haunting images of children drowned, washed up on shore highlighted the severity of the devastating situation. After months of anticipation, Star Wars Episode VII: The Force Awakens hit the big screen. According to Google, the official trailer, unveiled in October, is one of the most-viewed movie trailers of all time, with over 61million views. Well-done Andy Murray, again! The BBC felt the Scot was a clear winner after he led Great Britain to its first Davis Cup triumph for 79 years. 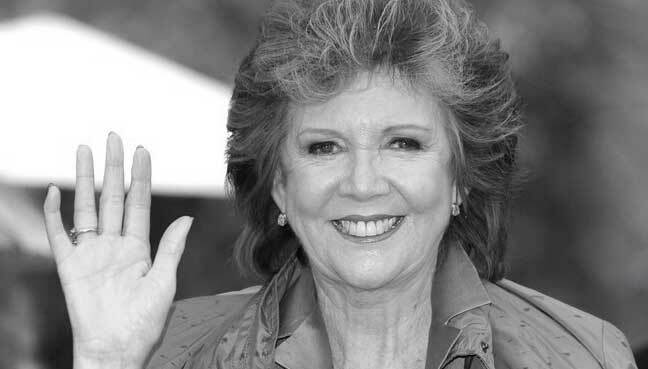 Too many wonderful people left us this year, but the one that shocked and saddened us the most was the amazing Cilla Black. Taken far too soon. Ta-ra chuck. From all at JAM, we wish you all a very merry Christmas and a successful 2016. 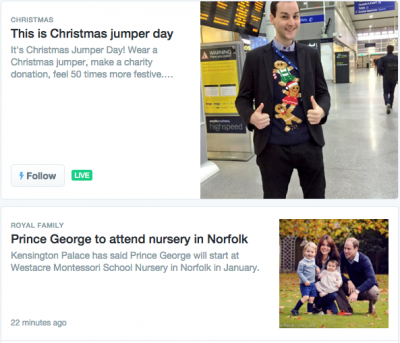 As social media specialists we always keep a close eye on new digital developments, so we are very excited that Twitter has finally launched Twitter Moments in the UK. Aimed at those who find Twitter confusing, Moments makes it easy to find the ‘best’ posts on the day’s stories by curating real-time, picture-led updates on breaking news. Led by Twitter’s in-house editorial team, comprised of former journalists, it groups together interesting tweets on single subjects from its 18 production partners including The Sun, Sky News and BuzzFeed UK. What’s more, users can ‘follow’ a Moment they are interested in, which allows them to easily keep up to date as news unfolds. Moments appears as a new ‘lightning’ tab next to notifications, which users can click on to see a list of stories “that matter right now”. Once the user selects an individual Moment, they are able to start swiping through a collection of tweets, videos, GIFs, photos and Vines – all on the same subject. Twitter chose the 15th December to launch Moments, which just happened to coincide with the launch of astronaut, Tim Peake, into space. The former Army major is the first Briton to join the crew of the ISS and is employed by the European Space Agency. Throughout this momentous occasion, Twitter Moments was updated with Sky News footage of Peake’s journey, tweets from Peake himself and tweets from the European Space Agency. These live updates allowed the whole of the UK to enjoy a detailed account of the historic event from wherever they were in the country. Whether it is space travel, sport, politics, fashion or celebrity related this new feature will make it a lot simpler to monitor stories that are relevant or of interest. PRs will be able to monitor stories more easily on behalf of clients, and it is another useful tool to track PR campaigns. Moments also taps into a dominant trend whereby consumers are increasingly demanding instant updates. Being able to watch news stories or trending topics from across the world unfold in real-time will appeal to the masses who demand immediate access to content. Combined with the Twitter owned Periscope app, which allows users to live stream events, this new development could position Twitter as a direct competitor to the likes of BBC News. The Radio Times Christmas scheduling issue came out last weekend, presenting a wealth of opportunities for brands to connect with consumers over the festive period. Christmas TV is ingrained in festive traditions, with the average Brit set to watch an average of 15 hours of telly over the holidays. The highly anticipated broadcasting schedule gives a strong indication of what will populate the newsfeeds as Brits digest their turkey. 72 per cent of programming across BBC1, BBC2, ITV and C4 will be re-runs (excluding news and weather), which suggests less room for original content. We are creatures of habit and we love familiarity when it comes to traditional rituals – according to Deloitte, a third of TV viewers watch the same programmes every day (2015 Media Consumer Survey 2015). This presents a huge opportunity for brands to interact with consumers via social media, because by already knowing what happens in the classics, they can pre-empt the reaction on social media and tie it in to their Christmas campaign strategies. Brands can get creative with content such as gifs, memes, and parody videos, ready to post during the broadcasts and appeal to a mass market. The broadcast industry has seen a seismic shift from traditional methods to digital platforms and on demand services; Netflix announced huge expansion plans to double its original content in 2017 while Google urged brands to spend at least 24 per cent of advertising budgets on YouTube instead of television. Viewers have control over what they want to watch and when they want to watch it, and the pace at which they consume media is steadily increasing; so, too, are the consequent opportunities for brands. 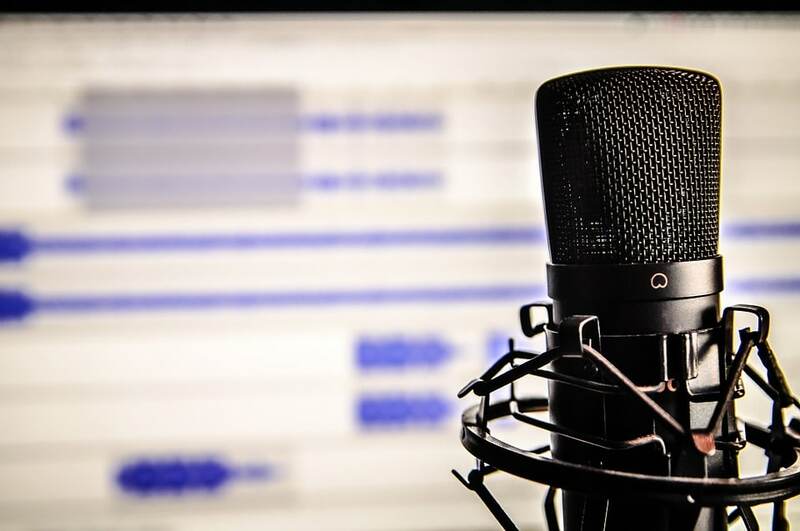 By utilising the right social media listening tools, brands can tap in to the consumer discussion on social media and gain invaluable feedback about what its audience is interested in. Social Bakers launched Social PRO in November, the world’s first real-time social intelligence tool, helping users to identify influencers, find sales prospects, manage crises in real-time, become proactive about customer service, and learn about a brand’s market with powerful reporting tools. Brits love a bit of nostalgia, so it’s no surprise that the majority of TV listings over Christmas are re-runs. Taking advantage of this insight, the BBC has already announced it’s releasing a Christmas re-run collection. Team JAM (hot!) 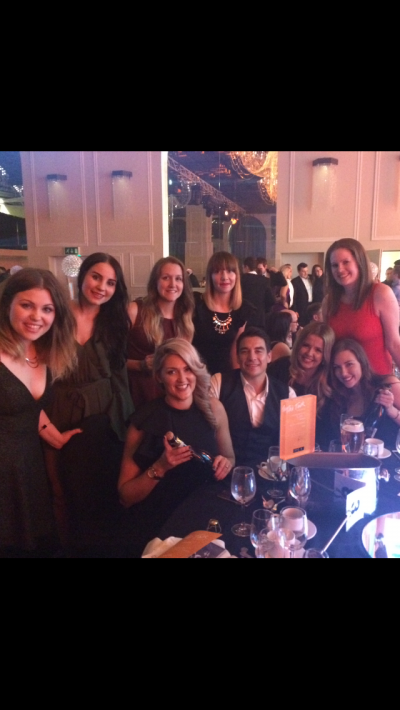 was last night crowned Best Full Service Agency at The Talk of Manchester Business Awards, and it’s all thanks to you! As a public vote, the outcome was in your hands. But thanks to your continued support of JAM, and perhaps a little coaxing via social media, the award for Best Full Service Agency was bestowed upon us. We are delighted with this accolade and are truly grateful for your vote. The Toms recognises the best SME support businesses in Greater Manchester, such as SEO companies, law firms, recruitment companies, IT support and accountancy, among many others. This is the second time JAM has been honoured at the TOMs, previously crowned Best PR Agency in 2013. Last night’s honour is our first award as a newly integrated agency, having merged JAMpr and JAMcreative to provide a cohesive offering, comprising PR, creative and digital services for multi-national clients. During the voting stages of the TOMs, we pledged to donate £0.50 for every vote we received to the Cycling Scouser, who has recently completed an epic 10,000 mile solo bike ride from China to Liverpool to raise money for AnthonyNolan. We’re delighted to say that after receiving 817 votes we’ll be donating £408.50 to the blood cancer charity. If you would like to make a donation to Cycling Scouser, you can do so here. So as we bask in the warmth of our latest win, we’d like to thank you once again for your continued support. Do you know a millennial? Are you a millennial yourself? Do you know how to market to millennials? You might be struggling to answer the above questions and this is down to a massive amount of confusion surrounding the demographic. Firstly, demographers disagree about the exact time frame that this group encompasses. Some say that millennials were born between 1982 and sometime in the early 2000s, while Pew Research says that millennials range in age from 18 to 33 years. While the debate continues, there is no escaping the fact that PRs and marketers should be focusing efforts on this generation. It represents about a fourth of the entire population, with $200 billion in annual buying power. Millennials are the most digitally connected group. They are the most avid users of technology, and what’s more, they didn’t have to adapt to new technologies. Today, young shoppers’ attitudes and behaviours are largely inspired by people they know online, or even strangers who share their interests on social networks. A brand must maintain its social media channels and handle online complaints in a timely manner in order to remain in favour with millennials. Companies should consider recruiting brand ambassadors to capitalise on the importance millennials place on inspirational and influential online figures. Brand ambassadors provide credible, trustworthy promotion and visibility to a brand (read our September blog for more information on building relationships with brand ambassadors). When you offer your audience content that they relate to and would happily share with others, you’re building a real brand-consumer relationship. While it may not be possible to completely change a brand’s tone of voice and messaging, having an awareness and understanding of the language this age group uses is important. It’s an easy way of engaging with a highly lucrative market. Although, be warned! Trying to communicate with millennials in a way that is patronising or doesn’t align comfortably with your brand’s image will do more harm than good – if it backfires, the messaging could be viewed as a feeble attempt to “get down with the kids”. Young customers are demanding a seamless experience and will be loyal to those companies that can deliver. This is evidenced in the fact that 18 per cent of millennial travellers claim hotel proximity to public transport is a deal breaker when booking accommodation, which is at least 10 per cent more than other traveller age groups – it’s clear that convenience is king for this demographic. Another good example of this is Uber – this service helps bring utility to millennials in a quick and convenient way. The same can be said for marketing material. Rather than product and service listings, millennials want blog posts, videos, infographics and images so they can take in lots of information quickly and easily. Including this material in the communications mix enables a brand to reach out and engage with millennials. JAM devises and implements PR and social media strategies that resonate with a wide range of audiences. No matter what target audience your brand is looking to communicate with, the millennial demographic is a critical consideration, and certainly not one to be underestimated. If you’d like to see what we can do for your brand, get in touch Jaime@jampr.co.uk. With the rise in social media, the advance in technology and new ways of reaching the consumer, blogging has become a very important part of today’s fast paced society. For businesses, the art of blogging is a very important marketing tool. It is less expensive, more influential and is much more effective than a static advertisement in a magazine, newspaper or billboard alone. I started blogging as a hobby during the middle of this year. As I love eating out with my family and friends, I decided to focus my blog on food, drink and restaurants. Blogging has opened my eyes to new experiences and has provided me with new food writing opportunities. I have attended a secret supper experience and luckily have been invited to numerous VIP launches and new restaurant opening parties. It has been incredibly fun, enjoyable and memorable attending these events then writing about them. More and more eateries, coffee shops, bars and restaurants are hiring the professional services of external PR companies to handle the marketing for their business. Some PR companies often work with bloggers to help develop the brand of a business, generate and maximise product interest and increase sales revenue and profits overall. To maximise the effectiveness of blogging, I personally would like PR companies to interact more often with bloggers like myself. I think it is important to like, favourite, re-tweet or share our posts on social media channels and to participate in our online conversations. This creates attention, builds up hype and generates interest. Consumers are more likely to seek further information when everyone is talking about it. PR companies should consider arranging quarterly events whereby they invite a variety of influential bloggers for an informal group discussion. It would be a wonderful opportunity for bloggers to submit ideas, brainstorm and provide useful feedback on what they like and what they do not like. It would also be nice for PR companies to meet bloggers in person so they can put a face against a name. I believe this will help to build, develop and strengthen the working relationships between the different parties involved. Every blogger has their own writing style, individuality and unique personality. However, I think it would be particularly useful if PR companies provide bloggers (particularly those who are less experienced) with bullet points, set guidelines or summarise content that they would like bloggers to include when writing a blog post. This will ensure that vital information about a business, product or service is detailed. Overall, with the changing consumer habits and new trends, blogging performs a vital role in business. Bloggers and reputable PR companies working closely together can help to support businesses in achieving their marketing goals and long term objectives. I truly believe it is the way forward and can contribute towards the overall success of a growing or thriving business.